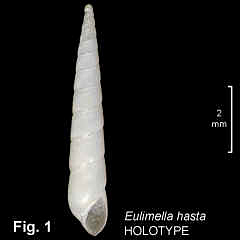 Description: Shell medium size, very elongate and pointed, up to 11 whorls. Protoconch (Type B) coiled, of 1½ whorls, set on teleoconch with axis inclined at about 110° to teleoconch axis. Teleoconch whorls straight or slightly convex, smooth, without axial or spiral sculpture apart from irregular axial growth lines. Suture strongly indented. Aperture teardrop-shaped, columella without plaits. Shell colourless transparent becoming opaque white with age. Distribution: Endemic to Australia: known from Sydney and Sussex Inlet, NSW. Habitat: Known from beach washup and down to 16 m. Very uncommon. Fig. 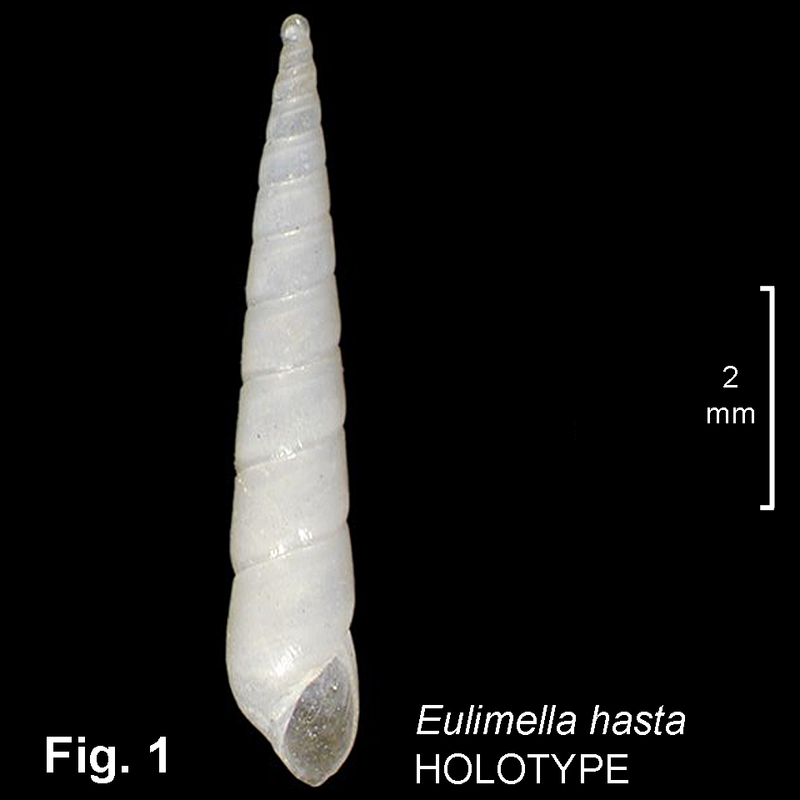 1: Off Shark Point, Sydney Harbour (C.031817 HOLOTYPE).